Enjoy the scenic charm and mesmerizing beauty of Mahabaleshwar from the best spot in the hill station; the Valley View Resort. 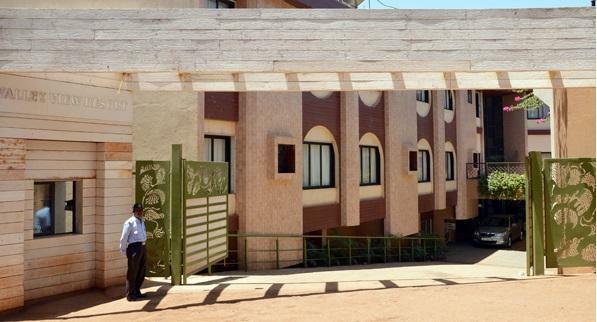 Located near the main market of Mahabaleshwar; the Valley View Resort is a very popular three star property that offers elegant and classy accommodation choices to guest traveling to this natural wonder. 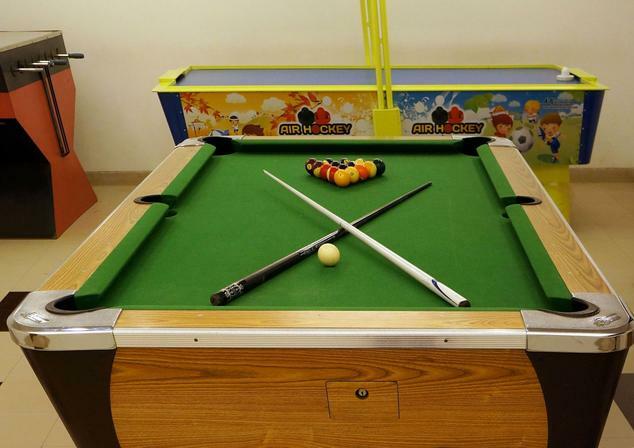 The hotel is very popular among both local and foreign guest because of its proximity to commercial centers and tourist spots of the city. Apart from this, the hotel offers majestic view of the Mahabaleshwar Valley that, which truly sets it apart from the rest. 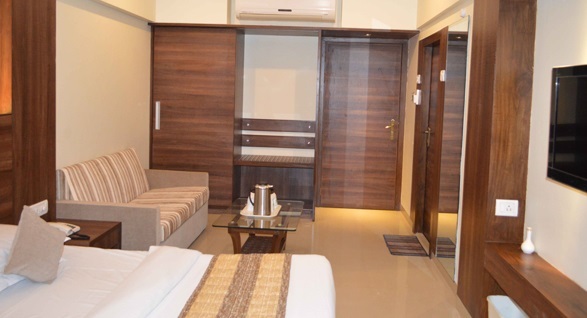 On accommodation front, the Resort offers rooms in five different categories of Deluxe AC rooms, Deluxe Non AC room, Super Deluxe AC Rooms, Super Deluxe Non AC Rooms and Duplex Suites. The rooms are adorned with contemporary décor and fitted all modern day amenities to ensure complete satisfaction to clients. 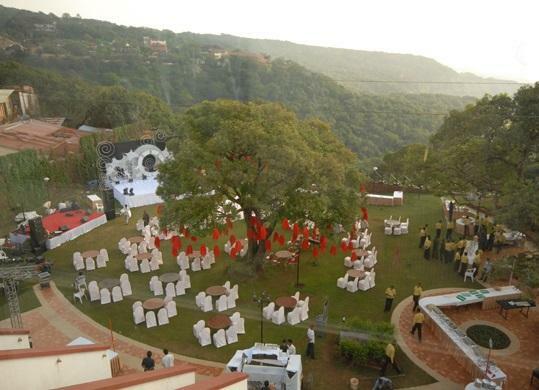 Super Deluxe Rooms and Suites also come with a private garden terrace from where patrons can enjoy the mystical valley. To cater to culinary requirements of guests, the hotel has a multi cuisine restaurant that serves scrumptious and healthy dishes from across India and the world. 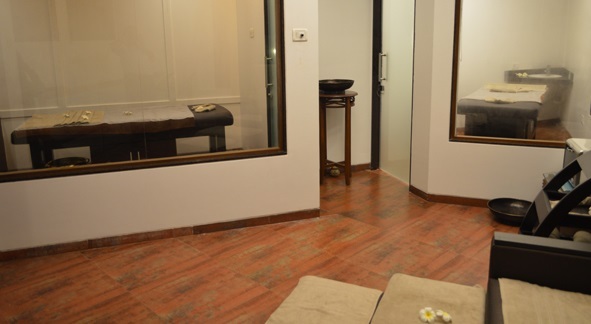 Patrons can also avail other facilities and services from hotel such as room service, housekeeping, doctor on call, horse riding, car rental and safety deposit lockers. 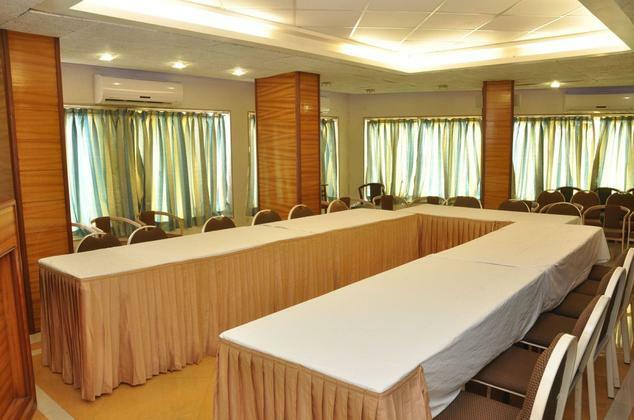 Valley View Resort also has advanced conferencing facility for social and business events. 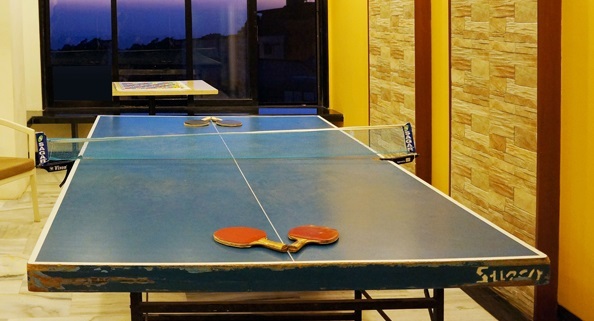 The other notable features of the resort include recreational center with indoor games like carom and pool, indoor swimming pool with controlled water temperature, sauna and others. 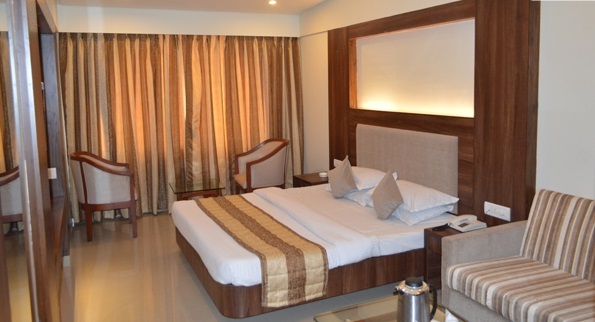 Looking for comfortable accommodation choice in Mahabaleshwar that doesn’t burn hole in your pocket, try booking a Deluxe room at Valley View Resort. 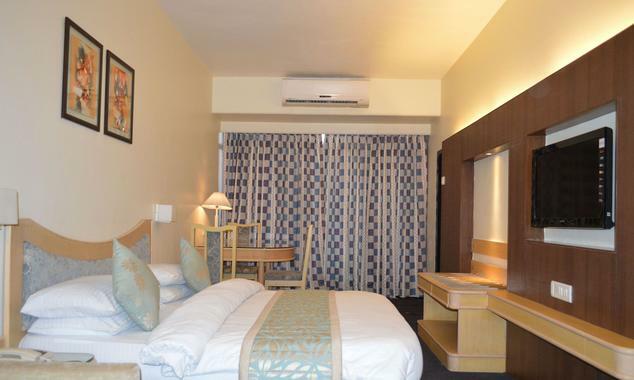 The Deluxe Rooms are one of the most popular accommodation choices at the hotel because of the budget pricing and several features that it offers. Located facing the hotel’s swimming pool, the Deluxe rooms sport very classy décor that is enhanced by the natural beauty that surrounds it. 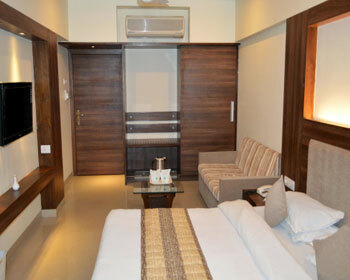 The rooms have very opulent interiors that are adorned with premium furnishing and classy artifacts. 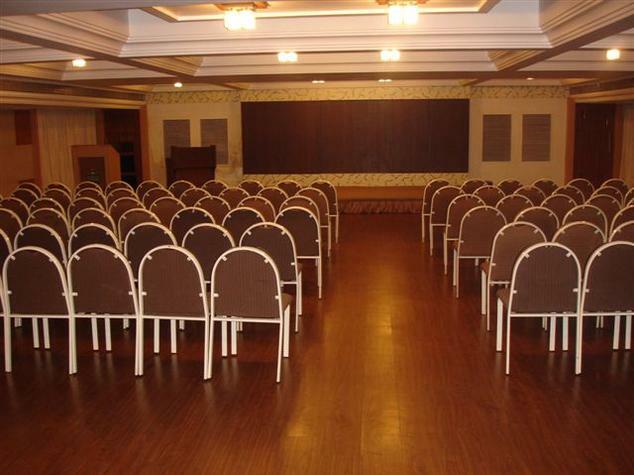 On amenities front, patrons will find all modern amenities and facilities in the room. These include television with subscription to premium channels, hot and cold water availability, private attached bathroom, premium bath toiletries, telephone, plush and comfortable bed, wardrobe, seating unit, room service, tea and coffee maker and many others. 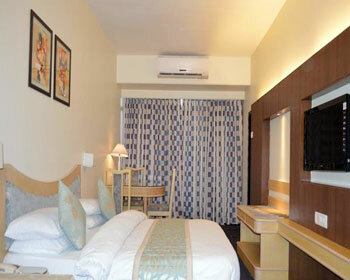 Budget pricing and classy nature of the Deluxe Room makes them ideal for business guests and solo travelers. 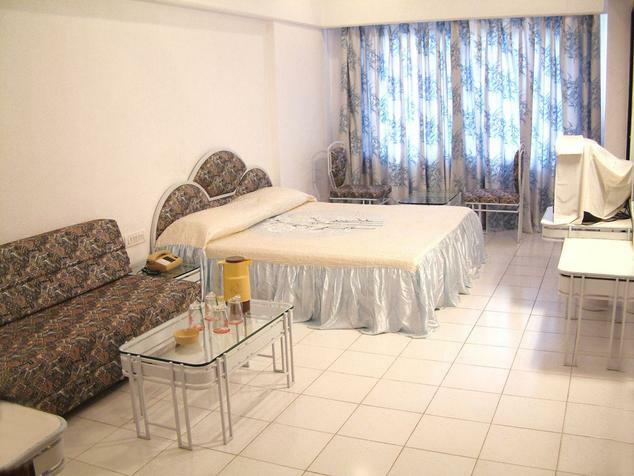 The rooms are offered with or without the air conditioning feature, depending upon the client’s requirements. Blending lavish luxury and classic comforts to offer guests best of both the worlds; Hotel Valley View Resort brings to you Super Deluxe Rooms. These rooms are designed by expert architects and decorators keeping in mind the requirements of modern day travelers and vacationers. 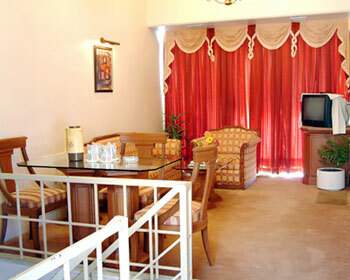 The rooms have very elegant décor that is enhanced by the majestic view of the valley and surrounding scenic greenery. 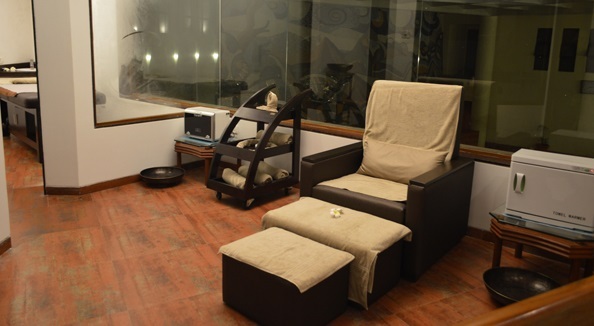 They also have a private terrace garden, from where guests can relax and unwind admiring the graceful nature all around. The interiors of the Deluxe Duplex are themed around nature and patrons will find them very lively and charming. 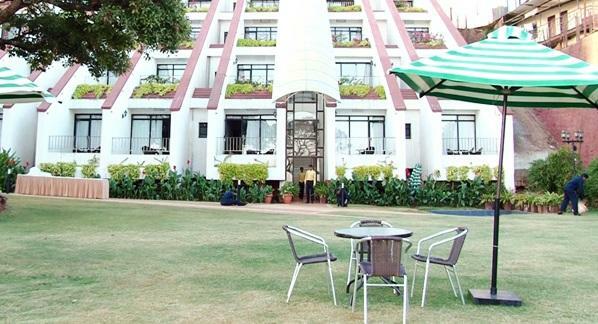 Equipped with all modern day facilities and features like LCD television with satellite connection and subscription to premium channels, telephones with direct dial facility, seating unit, wardrobe, plush comfortable bed, private attached bathroom with hot and cold water availability round the clock and tea / coffee maker. These amenities and the majestic view of the valley that the Super Deluxe Rooms offer make them stand apart from the crowd. 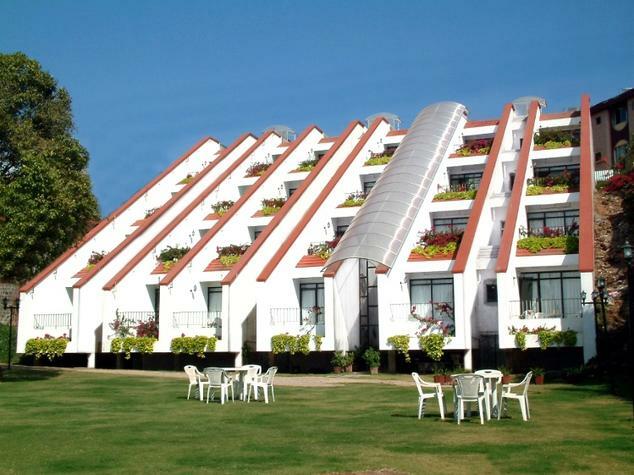 Traveling with your family or group of friends for a vacation trip to Mahabaleshwar? 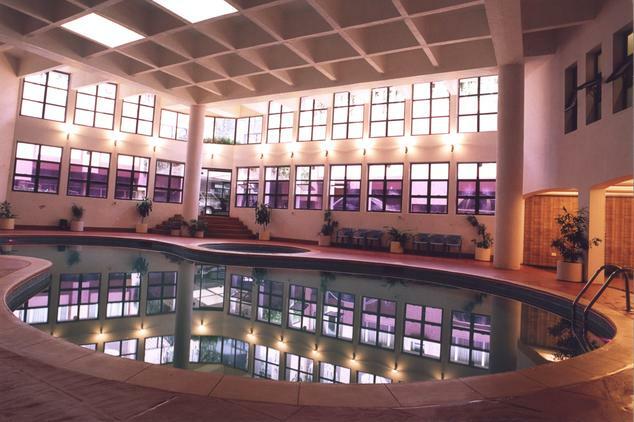 Then you would need an accommodation choice that offers ample space, comfort and lavish luxury. The Duplex Suites available at Valley View Resort offer the same. These suites are aimed at high profile guests and VIP travelers, who need a holistic accommodation option that caters to all their needs. The Duplex Suites does that and much more. The suites face the majestic valley and offer unrivaled view of the scenic natural beauty that surrounds the resort. Consisting of a separate living room, bedroom, private terrace garden, dining space and a lavish luxury bathroom; the Duplex Suites are sure to provide for any need that clients might have. With elegant décor and classy interiors, these suites are sure to win hearts of both local as well as foreign guests. On amenities front, the Duplex Suites boast of LCD television with satellite connection and subscription to premium channels, telephones with direct dial facility, seating unit, wardrobe, plush comfortable bed, private attached bathroom with hot and cold water availability round the clock as well as Jacuzzi (available on chargeable basis) and steam alternated in them and tea / coffee maker. Keeping the culinary tradition of treating guests as gods; the Valley View Resort has developed an in house multi cuisine restaurant that caters to food related requirements of guests. The restaurant is located on the resort premises and offers patrons easy access to scrumptious and healthy food without venturing of their comfortable hotel. The décor of the restaurant is kept very simple and elegant and designed in a way that it complements the natural beauty that surrounds it. The interiors sport many embellishments from local culture and artistic paintings adorn the walls. Valley View Restaurant serves delicious dishes from different cuisines from across India ranging from Gujarat, Punjab, Rajasthan, Maharashtra, South India. Patrons will also find on menu some international favorites from Italian, Chinese and continental platters. The food is prepared as per traditional recipes using organic ingredients, which bring out the authentic flavors. Moreover, strict hygiene standards and cleanliness in the restaurant inspires confidence among guests regarding the food served here. Be sure to try local delicacies served here, they are worth a shot!